By Amanda Tonoli | December 8, 2018 at 12:03a.m. 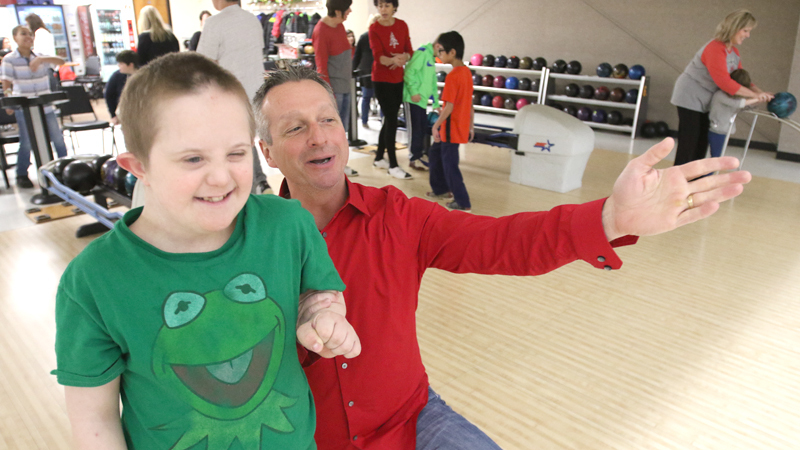 Canfield students celebrated the 23rd annual Special Needs Party on Friday afternoon at Amron Lanes, 492 W. Main St. Bowling, dancing, lunch and a visit with Santa were among the activities students participated in throughout the three-hour extravaganza. Students excitedly flitted from one area to the next, enjoying one another and the day as a whole. “It’s just wonderful,” said Josie Homsey, Canfield schools special-services secretary. Teacher Ashley Newsome said she thinks the event is awesome. Staff got to spend time with students eating and socializing outside of the classroom setting. John Vitto, event coordinator and Canfield schools director of special services, said it’s simply fun. Board of education members and Alex Geordan, superintendent, joined the fun. Craig Olson, board of education vice president, echoed Geordan’s sentiment. January 20, 2016 12:06 a.m.